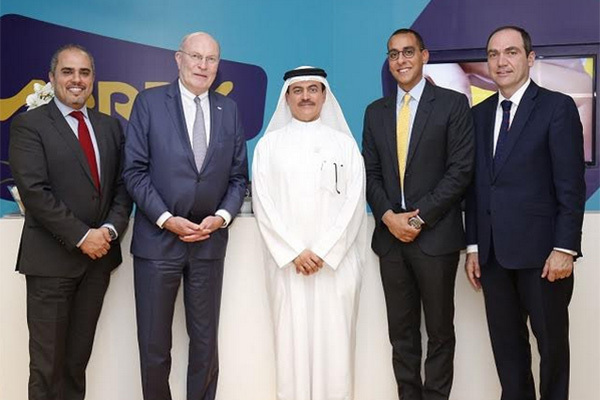 Merck, a leading science and technology company, has inaugurated its scientific office in the United Arab Emirates. The opening ceremony took place in the presence of Dr Amin Hussein Al Amiri, Assistant Undersecretary for Public Health Policy and Licensing Sector in the Ministry of Health and Prevention, and Dr Frank Stangenberg-Haverkamp, chairman of the Executive Board and the Family Board of E. Merck KG. The company’s regional hub is located in Central Park Towers, DIFC, and covers the Middle East, Africa and Turkey region. “The UAE places a high priority on the continuous advancement of its standards of care. As we march towards a healthier nation, our community’s health and happiness remains at the forefront of all our efforts as stated in the vision of His Highness Sheikh Mohammed Bin Rashid Al Maktoum, Vice President and Prime Minister of the UAE, Ruler of Dubai to achieve the best rankings globally in various fields. It is of utmost importance for us to make sure our people have access to the newest treatments which can greatly improve their quality of life,” he added. “We are delighted to welcome Dr. Al Amiri to our offices, as we take this opportunity to reiterate our growing commitment to the country and the wider region. We consider the UAE as a prime market for us given its robust infrastructure and healthcare system. Patients are at the heart of our endeavours and we look forward to working closely with the UAE leadership in the ministry of health and prevention to make sure the community has access to the latest treatments”, said Paolo Carli-head of Middle East, Africa & Turkey. The Ministry of Health and Prevention also announced the approval of Merck’s breakthrough medicine - the first oral short-course treatment to help patients suffering from Multiple Sclerosis. MAVENCLAD® is a medicine used to treat multiple sclerosis (MS) in adults. The new treatment is characterized by 20 days of treatment over two years with sustained efficacy of up to four years. In this context, Dr Amin El Amiri highlighted the wise leadership’s commitment to support excellence in the healthcare sector in general which made the Ministry of Health and Prevention pay great attention to Multiple Sclerosis in particular and to patients living with this disease. “We are thrilled that the Ministry of Health and Prevention has reached this decision which has enabled rapid patient access to this new medication in the UAE,” said Yasser Tawfik-general manager of the GCC region at Merck.